2. If you have been or are experiencing flashes of light or floaters, stay away. 3. If you have dry eyes or are taking medications that can cause dry eyes, stay away. The list of medications that can cause dry eyes is extremely large. The medications include drugs used in the treatment of sleeping disorders, allergies, emotions disorders and so on. 4. 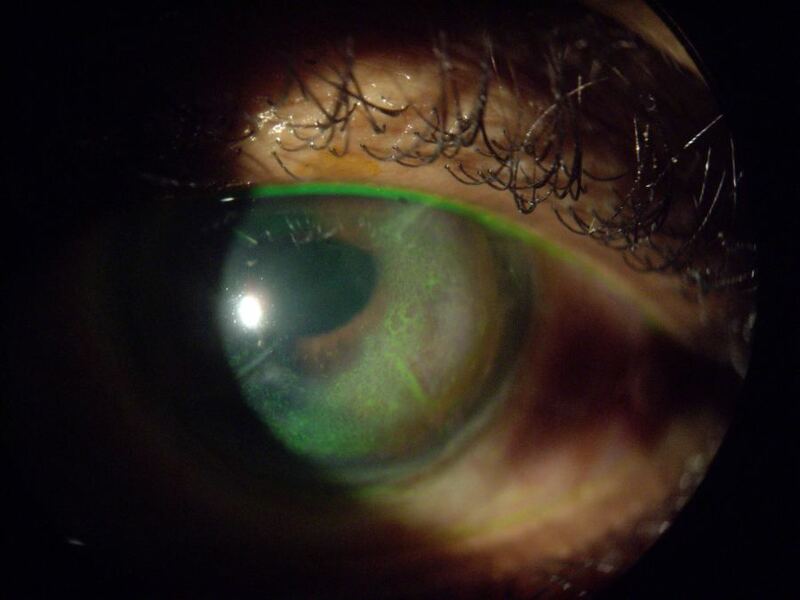 If you diabetic, you will have an increased risk of corneal complications following LASIK. 5. Active Atopy: Patients suffering from chronic skin conditions such as eczema, hay fever and allergic conjunctivitis should avoid LASIK. 6. Patients taking tricyclics or lithium based medications should avoid all forms of refractive eye surgery including LASIK. 7. Patients suffering from Epilepsy or seizures. 8. Patients suffering from auto-immune disease such as rheumatoid arthritis, Lupus, or thyroid disease should avoid all forms of refractive eye surgery including LASIK. 9. If you are pregnant or lactating, there may be an altered wound healing response following LASIK. 10. If you are taking systemic steroids there is a higher risk for developing infections following LASIK. 1. Read the informed consent form at least 24 hours prior to your surgery. 2. Make sure that you speak with the operating surgeon at least 24 hours prior to your surgery. Ask lots of questions. The only “stupid” question is the question not asked. 3. Remember that LASIK and all other forms of refractive eye surgery are not reversible. If after a short period of healing ( about 3 months) if you should experience blurred or distorted vision, do not involved with additional surgeries known as “enhancements”. The risk of additional unanticipated events is greater with each additional surgery. 4. One final bit of information: If you can see clearly and comfortably with eyeglasses or contact lenses, do not get involved with LASIK. If you are having difficulties with your contact lenses because of dryness issues, LASIK will make this worse. There are a great variety of soft and rigid contact and scleral lens designs that can successfully address your dryness issues. An irregular or uneven corneal surface (irregular astigmatism). Ectasia, which is a protrusion or bulging of the front surface of the cornea. Distorted vision also known as higher order aberrations. Glare and halos around lights. Double or triple vision with one or both eyes. Reduced vision indoors and at night. Corneal epithelial ingrowth, dislocation of the corneal flap, lost flap, corneal scarring and ocular inflammation. Many of the complications that LASIK patients have experienced have an indirect cause and effect relationship. For example, many patients who have undergone LASIK have experienced retinal-vitreous problems such as retinal and vitreous detachments, retinal tears and floaters months or years after having undergone LASIK surgery. To better understand why these complications can take place due to LASIK, it is best to briefly discuss the procedure itself. The LASIK procedure can be divided into 3 major phases. The first phase involves the creation of the corneal flap with a microkeratome ( a very small tool that slices into the cornea). This phase of the procedure requires a temporary but significant increase in the intraocular pressure. 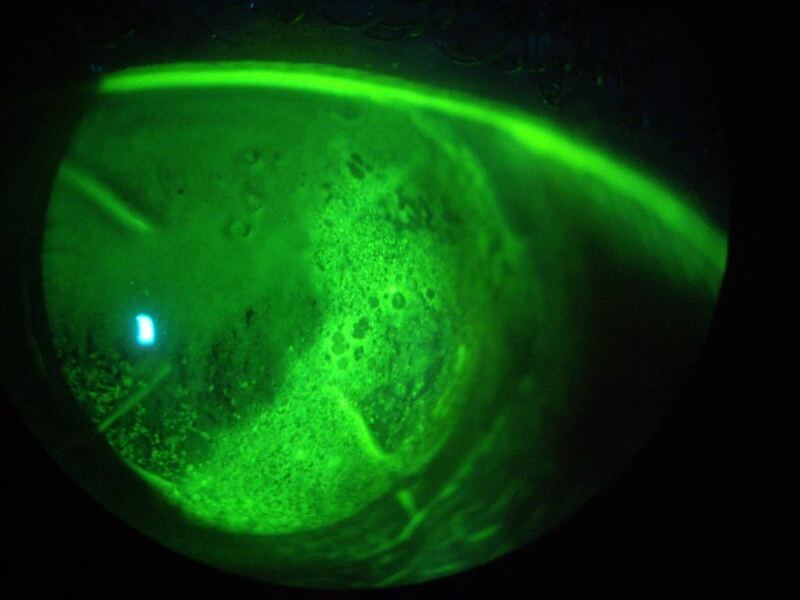 The second phase involves photocoagulation with a laser of the stromal bed (the corneal tissue under the flap). The third phase involves the repositioning of the corneal flap. It is during the first 2 phases that the eye is stressed the most. Phase 1: Flap Creation. It is thought that the increase in the eye pressure during the creation of the flap creates a mechanical force or stress on the eye which may encourage damage to the retinal tissues. Thus, LASIK can be thought of as a trauma to the eye in the form of increased intraocular pressure. Normal eye pressures are 20mm Hg or less. During the formation of the LASIK flap, intraocular eye pressures can reach up to 100mmHg. This increase in the intraocular pressure results in a greater ocular wall tension than many myopic eyes can tolerate. 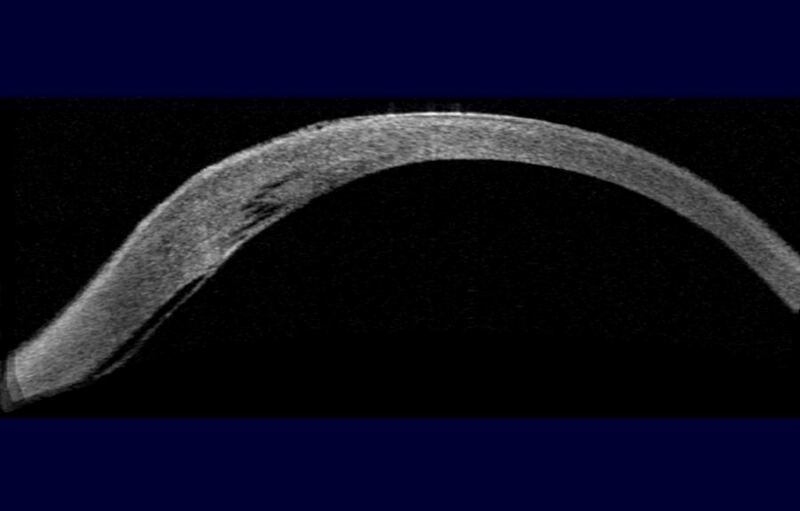 This increased ocular wall tension may cause breaks in the retinal-vitreous membranes and cause other ocular damage as well. Phase 2: During photoablation of the stromal bed, acoustic waves are created which may create damage to the vitreous and retina. Pulsed ablation of the stromal bed by the laser sets up acoustic stress waves along the axis of the eye. These “shock waves” travel from the anterior segment of the eye to the posterior segment. It is thought that these “shock waves” may be responsible for creating disruptions in the deeper ocular membranes of the eye. In addition to LASIK, the other principal refractive surgical procedures being done are PRK, LASEK and Epi-LASIK. I will not go into the differences between these procedures, but understand that there are significant risks with all of them. My recommendation to a post-LASIK patient with complications is not to undergo an enhancement or another surgery. If another surgery is suggested, at least get one or two additional opinions. For patients suffering loss of vision and comfort due to LASIK, a scleral lens is the non-surgical treatment of choice. A scleral lens is a large diameter lens made of a highly oxygen permeable material. It does not move on the eye. It is not a contact lens since there is no contact between the lens and the cornea. A scleral lens vaults over the compromised cornea and rests on the white portion of the eye (the sclera). A liquid reservoir exists between the back surface of the lens and the front surface of the cornea. Comfort and vision is almost always excellent. A scleral lens in effect replaces the cornea as an optical surface. The dry, distorted cornea under the lens no longer plays a part in how a post-LASIK patient will see. A scleral lens, when fit correctly will provide stable, clear vision in bright and dim light environments. Many of the post-LASIK patients we see have dry, irritated corneas. Without a scleral lens, blinking can further irritate the front surface of the eye. The scleral lens protects the irritated cornea from the environment and from the eyelids rubbing against it. In other words, a scleral lens acts as a therapeutic device in addition to a vision correcting device. Because the cornea is always in a moist environment, healing can take place. This patient underwent Radial Keratotomy surgery in the 80’s and Lasik surgery in 2000. Three weeks ago she underwent cataract surgery and developed corneal hyrops. She is being treated with multiple eye drops to clear up her cornea. If it does not clear up, she will need a corneal transplant. What you are seeing below is a ruptured Desemet's membrane. Internal ocular Fluids have entered the cornea, causing cloudy vision.